A stunning performance with a wonderful cast under superb musical direction by Daniele Gatti could make for a series of tiresome superlatives, so I shall start with a more interesting observation. 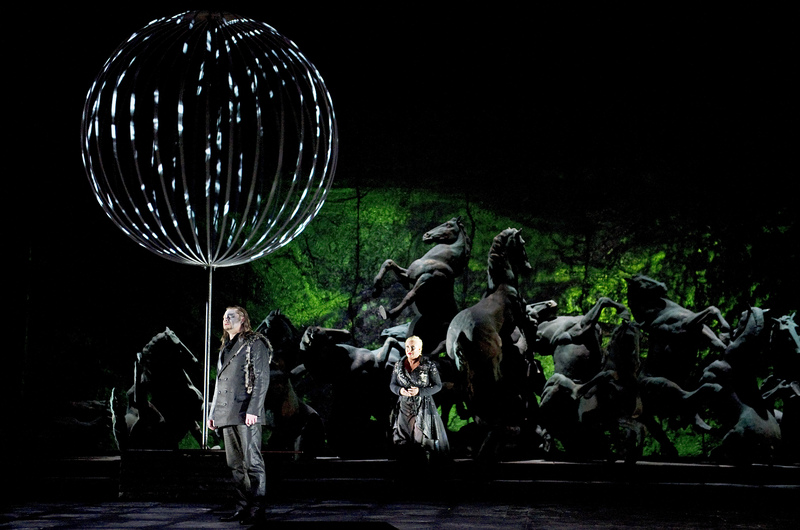 This endlessly intriguing opera allows every production to bring out some new aspect. 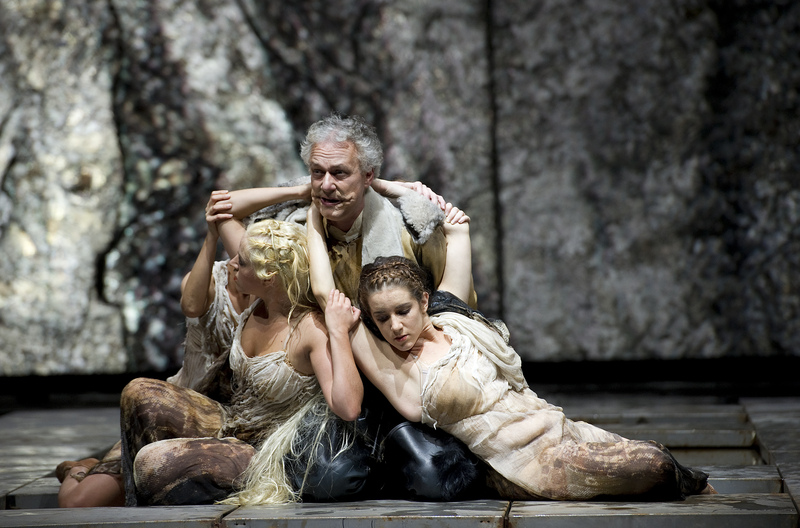 The brilliant Bayreuth production relates it to the history of Germany in the first half of the twentieth century, but this one by François Girard has a more ethereal nature in which I found myself drawing a comparison between Act II of Parsifal with Siegfried. 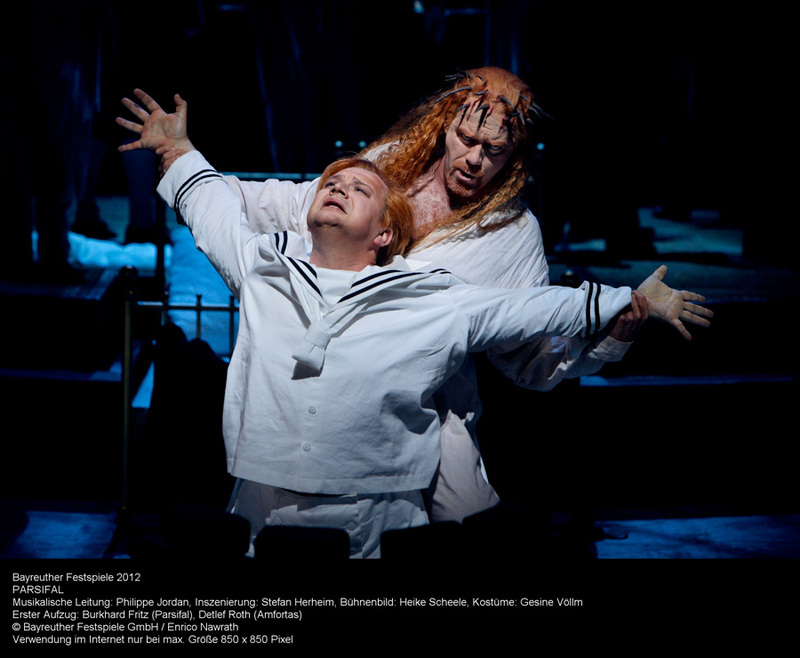 In that middle section, Evgeny Nikitin, whose body tattoos caused his last minute rejection as the Dutchman at Bayreuth this past summer, made an extraordinary Klingsor reminiscent of Alberich in Siegfried. Here was a magician who held power by his determination to thwart the world, but is being defeated by forces beyond his control. 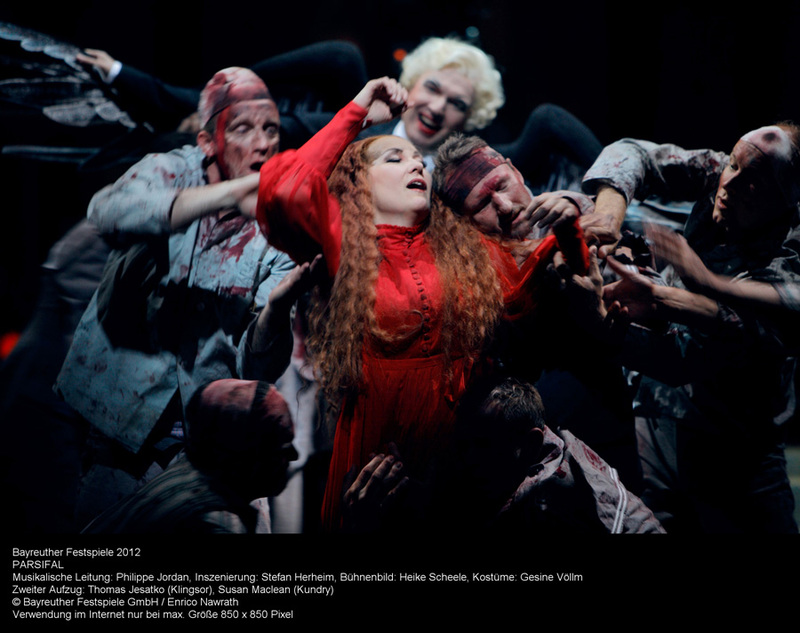 And as Katerina Dalayman’s seductive Kundry cast her spell over Jonas Kaufmann’s simple, yet nobly portrayed Parsifal, singing of a mother’s yearning and a mother’s tears, I almost expected him to burst out with O heil der Mutter, die mich gebar! (O hail to the mother who gave me birth). But this is not Siegfried. 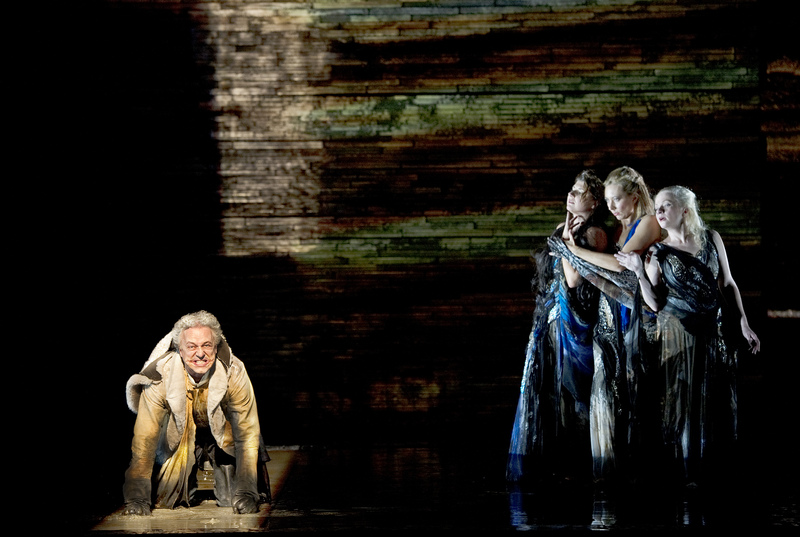 Parsifal has a hidden inner strength and finally bursts out with Amfortas! …, recalling his great mission to relieve the enduring pain and mortal failure of the king, and renew of land of the Grail. 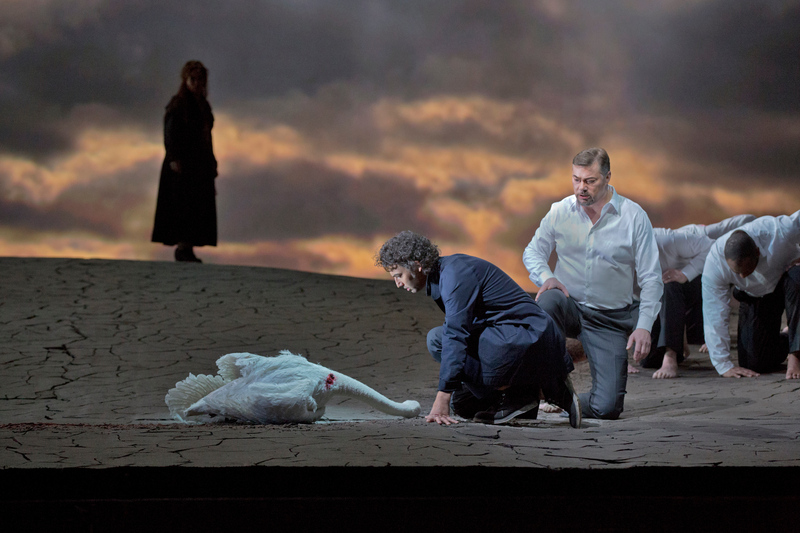 In Act III as he blesses Kundry, allowing her to die in peace, and heals the wound of Peter Mattei’s agonized Amfortas, so he can do the same, the excellent lighting and video designs by David Finn and Peter Flaherty change the bleak landscape to one of warmth and sunrise. Everything is entsündigt und entsühnt (redeemed and atoned for), though the subtitles gave a very odd translation of the German at times. The cinematography by Barbara Willis Sweete was exceptional, giving us a full stage picture with close-ups that never intruded to spoil the magic. In fact it enhanced the production in some places, as when Parsifal and Gurnemanz travel together to the Grail and we hear those wonderful lines Ich schreite kaum, doch wähn’ ich mich schon weit. Du siehst mein Sohn, zum Raum wird hier die Zeit (I scarcely step yet seem to move apace. You see, my son, here time is one with space). 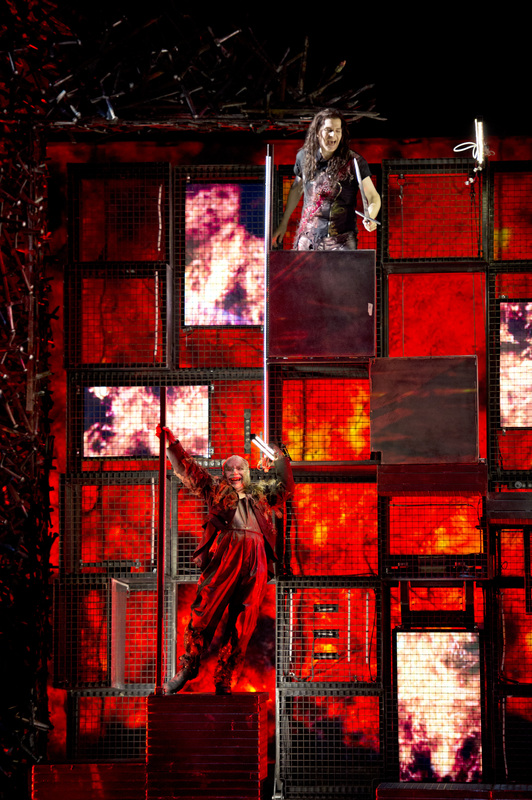 The camera views them from below, and manages the feat of rendering Gurnemanz larger than Parsifal. 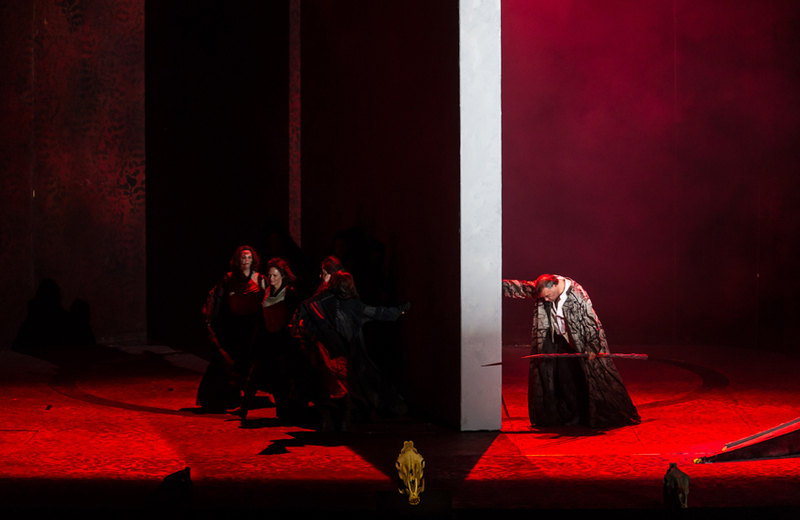 As Gurnemanz, René Pape gave a performance of huge power, with fine diction. In Act I his expressions of emotion gave us a man who cares deeply for his beloved land of the Grail, and in Act III his sanctification of Parsifal was a sublime moment. 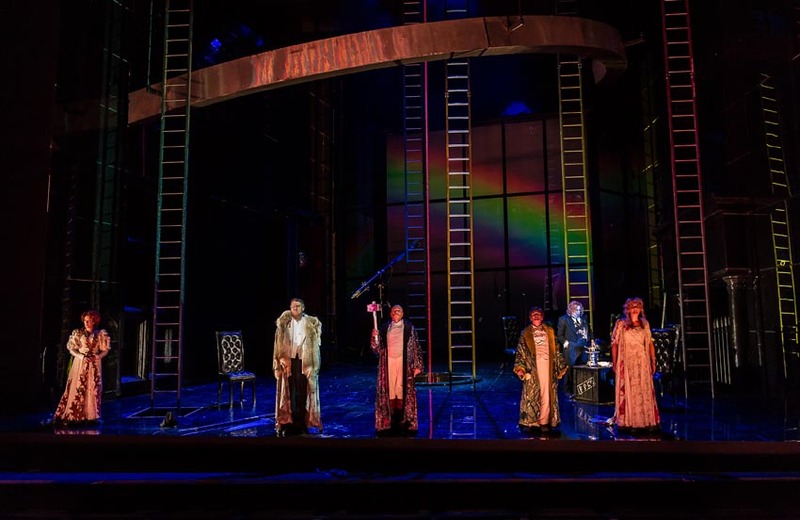 The whole cast sang superbly, as did the chorus, and Carolyn Choa’s choreography for the Flower Maidens was attractively subdued and musical. 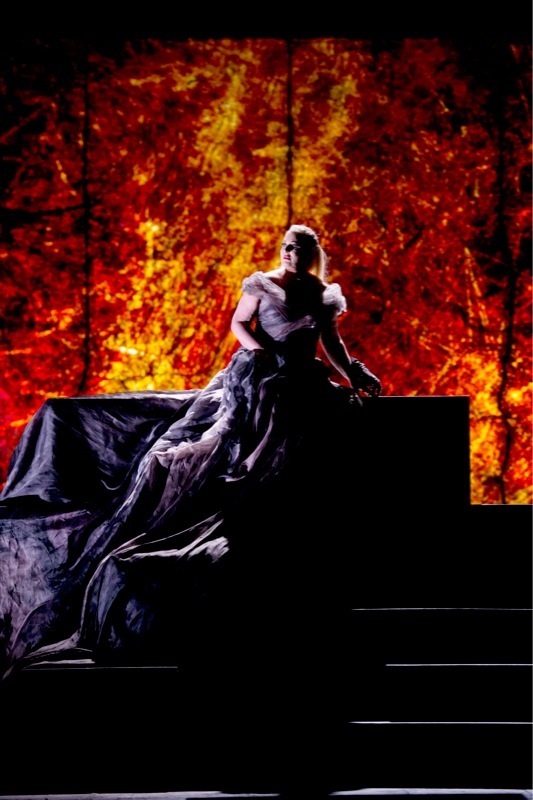 Good hosting by Eric Owens, who was a memorable Alberich in The Ring, and congratulations to the Met for this intelligent screening of Wagner’s final opera. 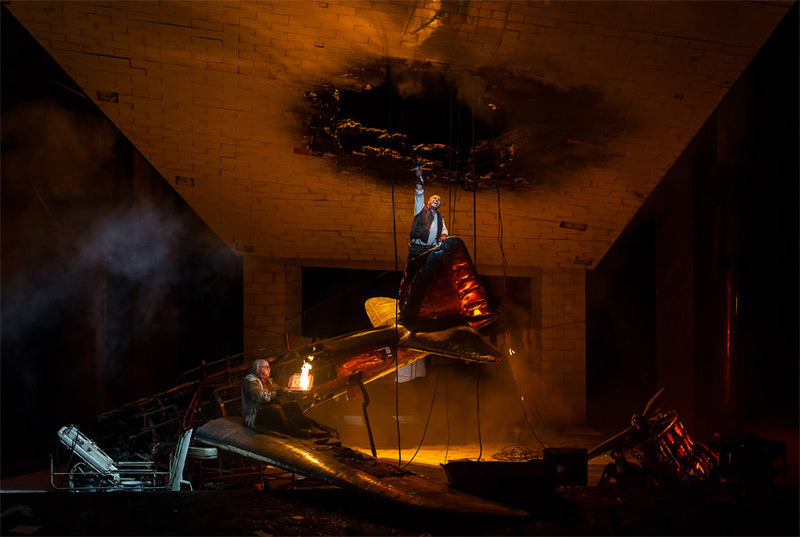 The present extraordinary Bayreuth production by Stefan Herheim portrays Germany from before the First World War to the aftermath of the Second, with Parsifal representing the true spirit of the country, and Amfortas the one that lost itself in Nazi times. 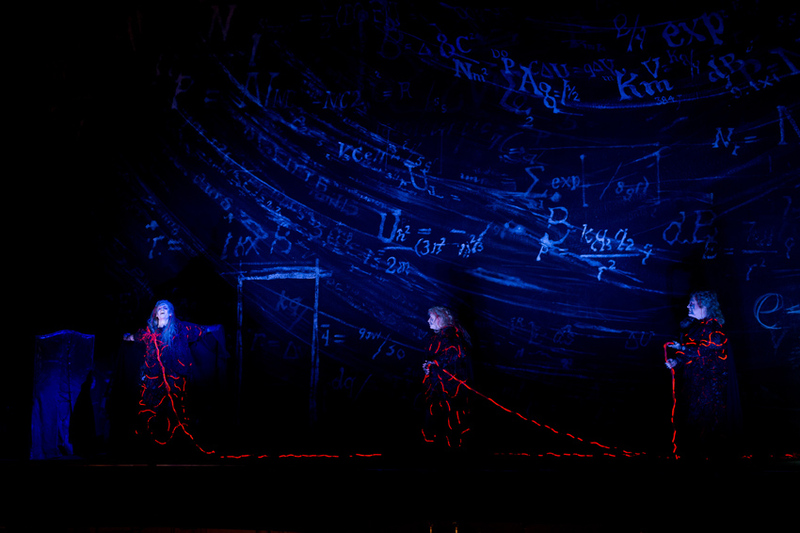 It all starts during the overture, with Parsifal’s mother Herzeleide close to death. Lying in bed, she reaches out to Parsifal as a boy, finally managing to embrace him before he runs outside with his toy bow and arrow. As the other four people in the room follow him with their gaze, the faith motive rings forth and Herzeleide dies. Later in the overture she returns to life holding a red rose, embraces her son and falls through the bed with him. The bed plays a central role, allowing transformations forwards and backwards through time. 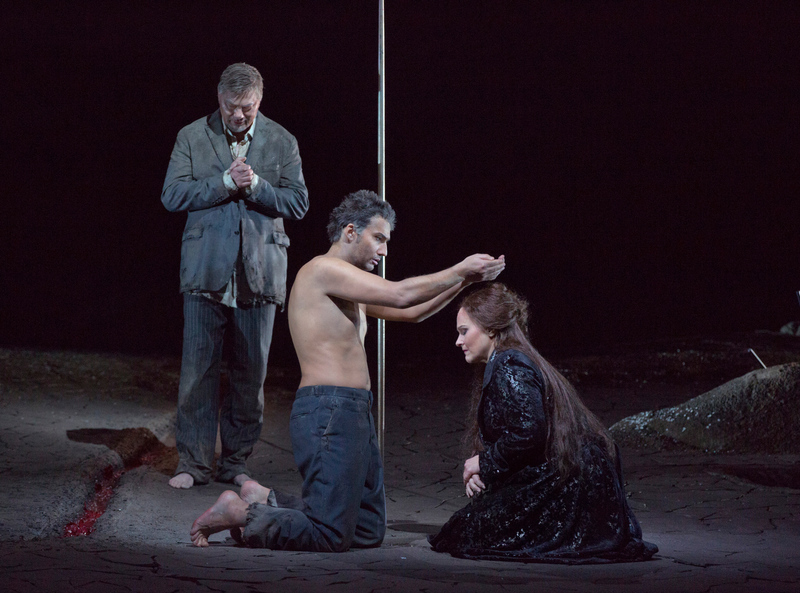 As we move into Act I the boy has returned, and both Gurnemanz and Amfortas, desiring renewal and exoneration from suffering, look penetratingly towards him at significant moments. Amfortas once made the great error of falling prey to Klingsor’s magic, acquiring a wound that will not heal, and that fatal incident was seen in flash-back during the overture when Klingsor himself appeared on a drawbridge wielding his spear, while Amfortas embraces Kundry on the bed and they vanish into the depths. This production plays with time. 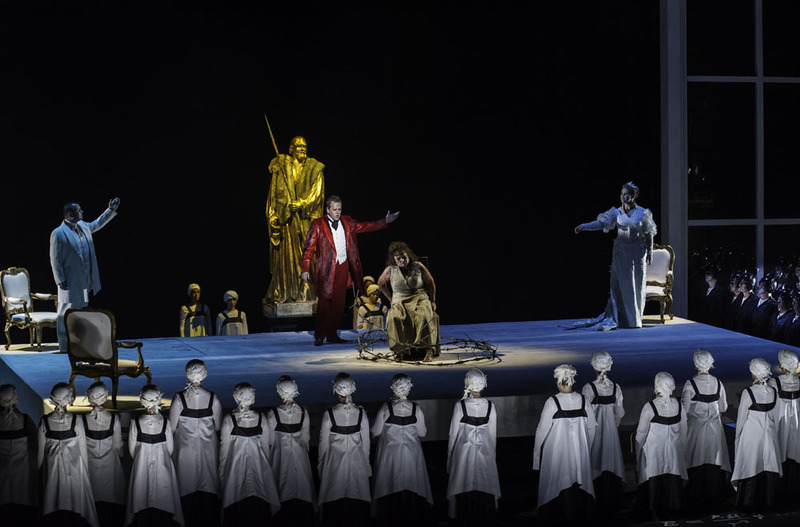 In Act I during that wonderful orchestral interlude where Gurnemanz and the youthful Parsifal travel together to the ceremony of the holy grail, we see Herzeleide give birth, with Kundry acting as midwife. 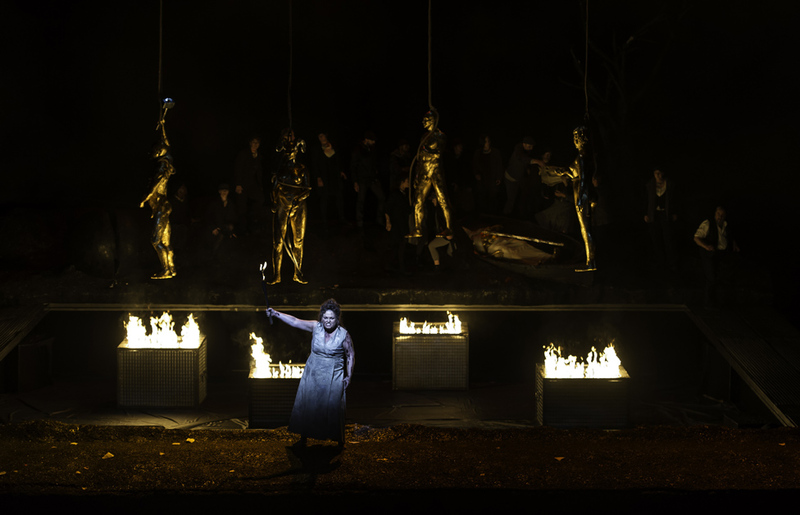 The baby is ceremonially taken away by Gurnemanz, Herzeleide becomes transformed into Amfortas, and images of real World War I soldiers appear projected on the backdrop. 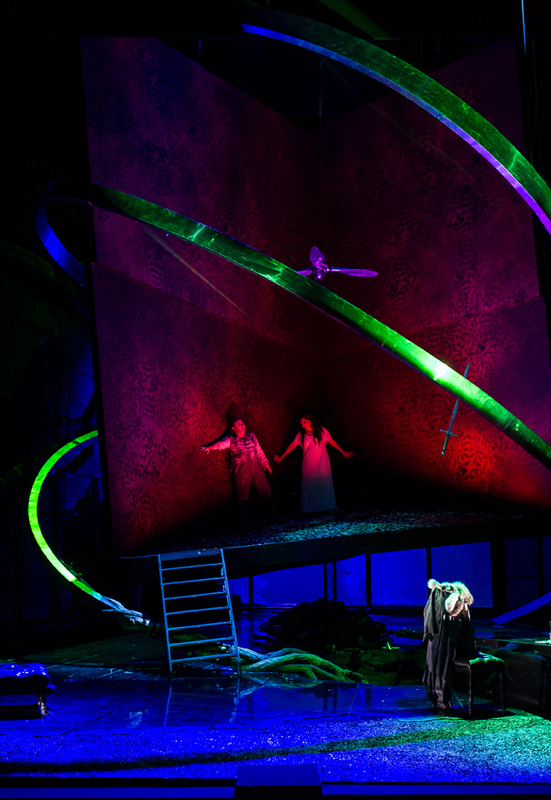 Their counterparts enter the stage as chorus, swaying gently from side to side in an immensely powerful scene where the German Eagle appears in place of the swan that Parsifal shot. Thus ends Act I after nearly two hours of music and remarkable stage magic. 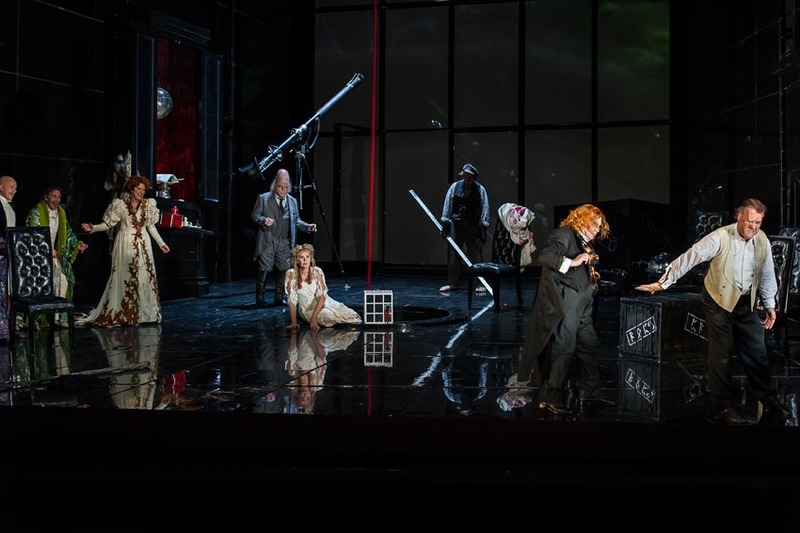 Act II starts with wounded soldiers, and ends with Nazi banners, storm troopers, and the appearance of Klingsor on the balcony of Wagner’s Bayreuth house Wahnfried, a design used here as the set for much of the opera. 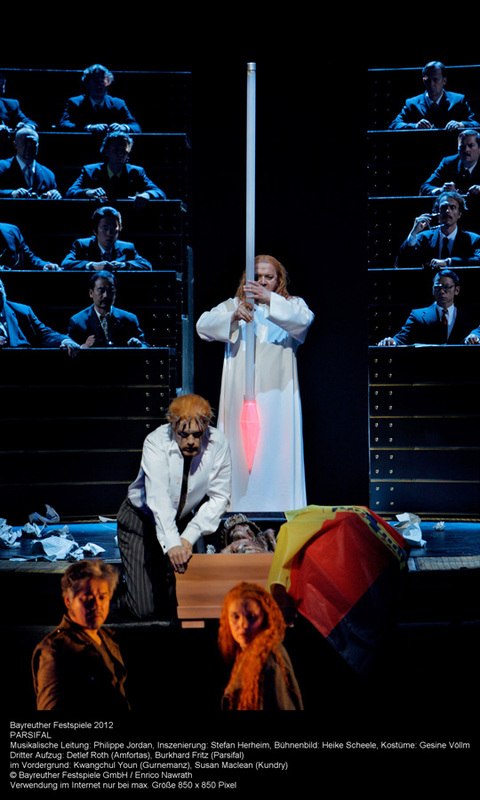 Klingsor, dressed in blond wig, stockings and suspenders, lifts his spear, the lights go out, and Parsifal breaks the spell. 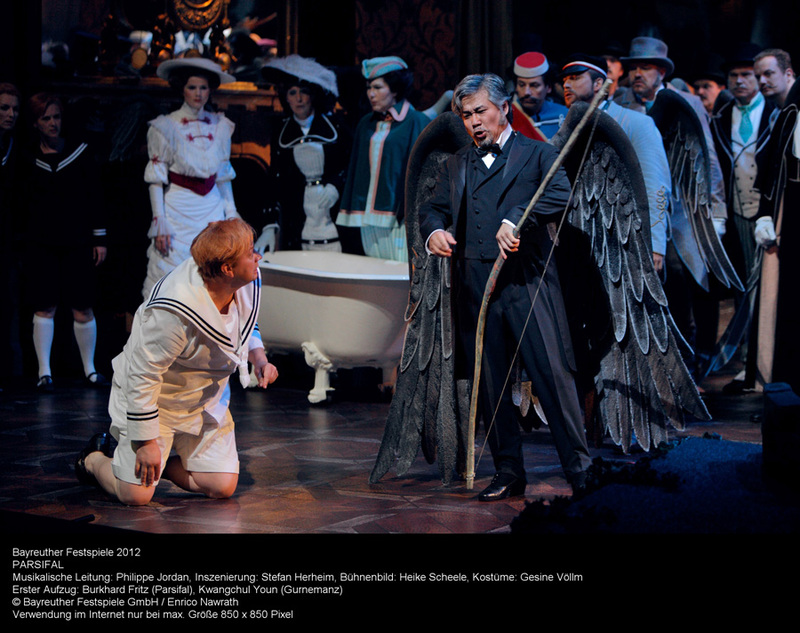 In the meantime Kundry has appeared in a red dress, a white dress and finally clothed like Klingsor but with blue wings — a blue angel ready to seduce Parsifal. 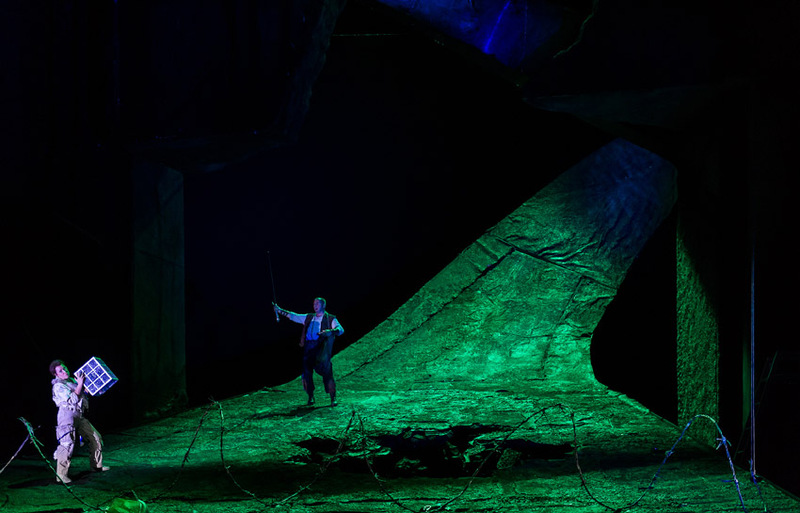 The Nazi era seduced many, but the spirit of Germany lives on, and in Act III while Gurnemanz stands in military uniform near the devastation of a flattened city, Parsifal returns. The ceremony of the grail is now transferred to the Bundesrat in Bonn, and a huge circular mirror tilted behind the set allows us to see everything from above. 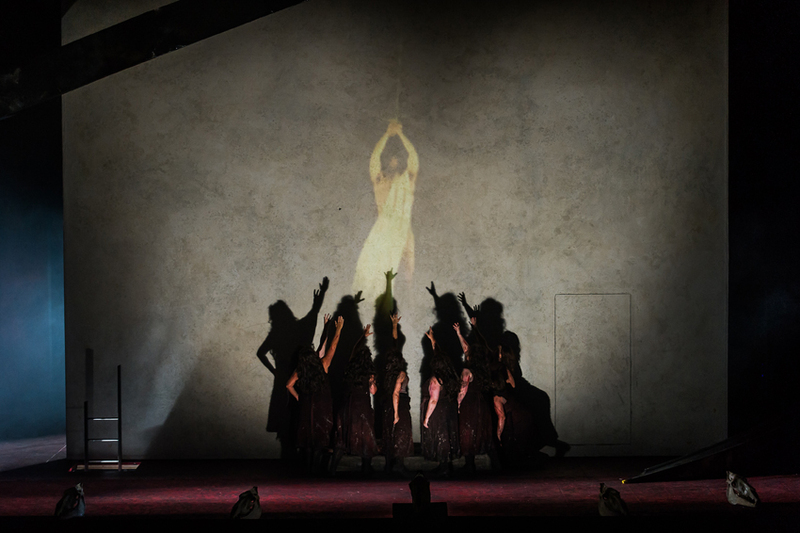 Titurel’s coffin is draped with the German flag, and as Parsifal performs the ceremony of the grail the mirror slowly tilts so that we begin to see ourselves, the audience, participating in this huge cleansing and renewal of the German spirit. 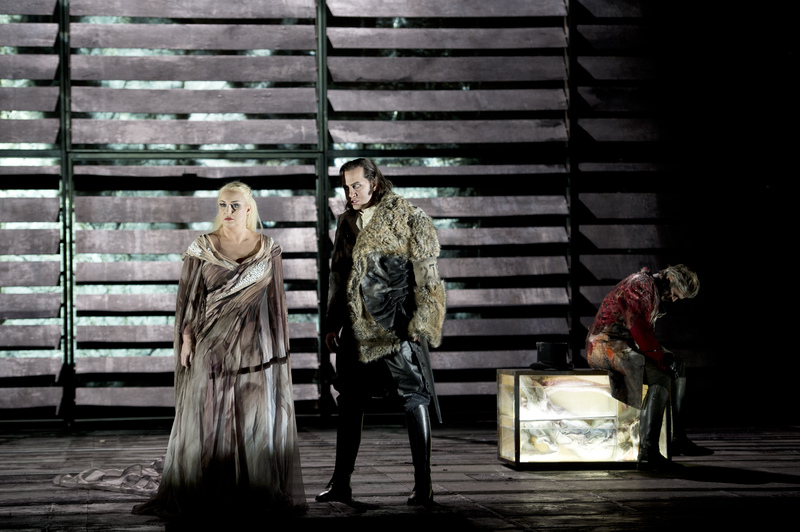 Burkhard Fritz sang a strong Parsifal, Susan Maclean likewise as Kundry, and Thomas Jesatko was a sinister Klingsor. 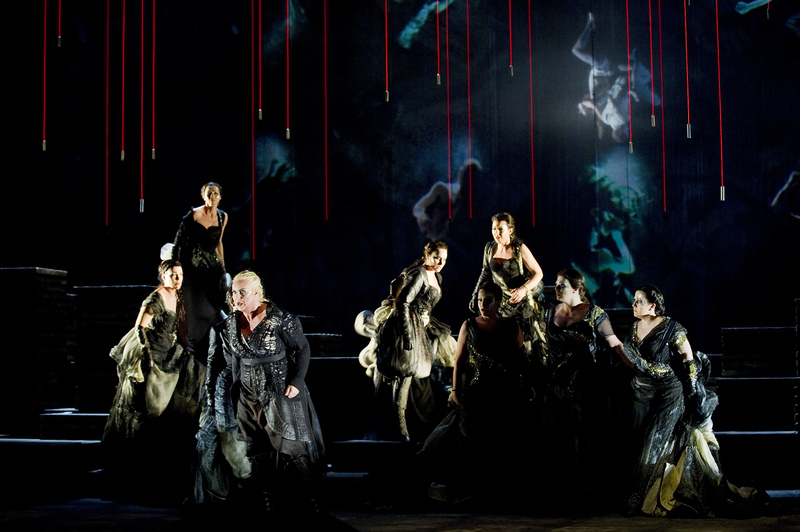 Diógenes Randes came over well as the voice of Titurel, the chorus was excellent, and Detlef Roth was a sympathetic Amfortas, hugely powerful in Act I. Kwangchul Youn made a commandingly strong Gurnemanz, portraying the role with fine gravitas, and Philippe Jordan conducted with a sure hand. 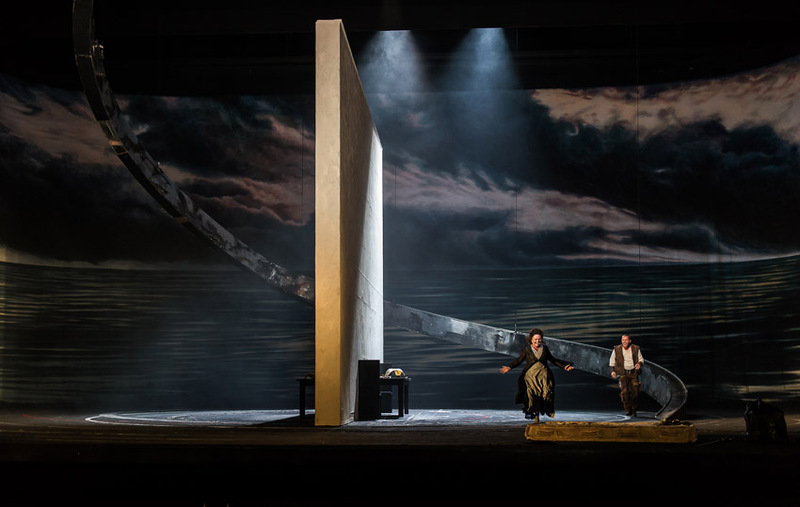 The whole performance came over with an air of magic, and it is only regrettable that this intriguing production leaves the repertoire at the end of the season. This year was my second visit to the production — see also my review last year.